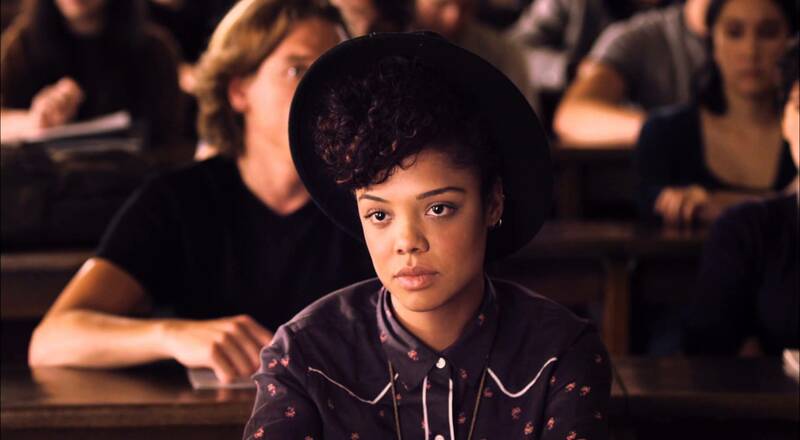 “Dear White People” is now playing at Sundance Cinemas. R, 1:48, three and a half stars out of four. 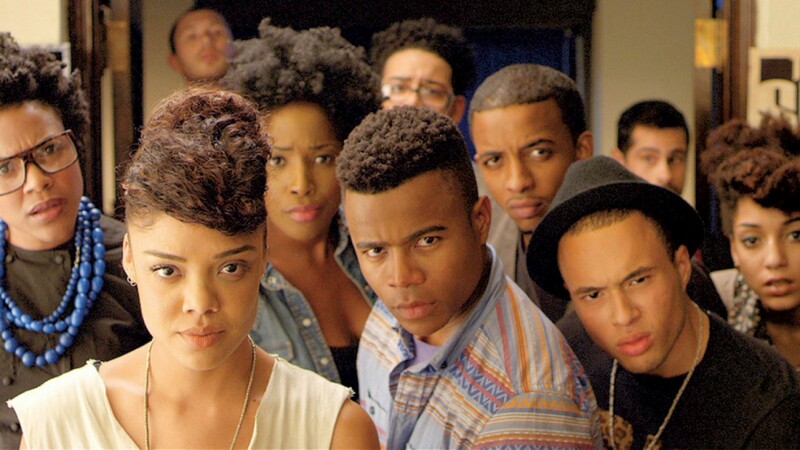 There’s a scene in Justin Simien’s “Dear White People” where a group of African-American students rail against Tyler Perry movies. Staring straight at the camera, they rail magnificently against the mix of cheap comedy and greeting-card sentimentality. Then we get the reverse shot, where we see the one bewildered white movie theater clerk they’re yelling at. Why are they yelling at me, he seems to wonder? That exchange shows the subtlety and the perceptiveness of Simien’s bold, funny and thoughtful debut feature. As much as the film scores points in satirizing life in the so-called “post-racial” society of the Obama era — as played out in the dorms and quads of a largely white Ivy League college — Simien is just as likely to flip the camera back around on its accusers. The result is a film that’s as honest about the complexities and contradictions of identity as we’re likely to see in a movie theater this year. The film runs a little long, lingering too long in one scene or another. But it’s a potent debut; Simien offers no easy answers, and certainly no comforting ones. But the questions “Dear White People” raises — quietly, forcefully, with a biting wit — should start conversations, especially in a Midwestern college town like Madison.